John Swift scored twice for Brentford as the Bees stretched Wolves' winless run to seven matches. Wolves almost took the lead when Nathan Byrne latched on to Bjorn Sigurdarson's cross, but David Button saved. Brentford fought back as Alan Judge hit the outside of the post from long range before Swift's deflected shot put the hosts in front before half-time. Sergi Canos found Brentford's second from an acute angle before Swift stabbed in a second from close range. Prior to Swift and Canos extending the hosts' lead, Kevin McDonald could have forced an equaliser for Wolves when he drove a shot from 20 yards that forced Button into a fine low save. Brentford, who came into the game on the back of a winless run of three matches, moved up three places to 11th in the Championship. Wolves slip to 15th with their last three points coming in their 3-2 win against Fulham on 12 January. "It was a really good performance matched by the result and a clean sheet too. We wanted to start on the front foot with three ball carriers and I thought we did that. "We have conceded sloppy goals in previous weeks from our point of view so this will give the lads a lot of confidence. We won't rest on our laurels though because it's tough every week in this league." "The games come thick and fast and we need to make it more competitive and closer than today because by the end they were three goals better than us. "It wasn't a good feeling on the side and we didn't get anything out of the game. We have difficult games coming up and need to find resolve and character to change things around." Match ends, Brentford 3, Wolverhampton Wanderers 0. Second Half ends, Brentford 3, Wolverhampton Wanderers 0. Attempt missed. Joe Mason (Wolverhampton Wanderers) right footed shot from outside the box misses to the right. Assisted by Kevin McDonald. Konstantin Kerschbaumer (Brentford) is shown the yellow card for a bad foul. Adam Le Fondre (Wolverhampton Wanderers) wins a free kick in the defensive half. Attempt saved. Jack O'Connell (Brentford) header from the centre of the box is saved in the bottom right corner. Assisted by Sam Saunders with a cross. Corner, Brentford. Conceded by Carl Ikeme. Attempt saved. Jake Bidwell (Brentford) left footed shot from the left side of the box is saved in the centre of the goal. Assisted by Lasse Vibe. Offside, Wolverhampton Wanderers. Kevin McDonald tries a through ball, but Joe Mason is caught offside. Foul by Jack O'Connell (Brentford). Substitution, Brentford. Lasse Vibe replaces Marco Djuricin. Attempt blocked. Alan Judge (Brentford) right footed shot from the right side of the box is blocked. Assisted by John Swift. Corner, Brentford. Conceded by Kortney Hause. Substitution, Brentford. Konstantin Kerschbaumer replaces Josh McEachran. David Button (Brentford) wins a free kick in the defensive half. Substitution, Brentford. Sam Saunders replaces Sergi Canos. Attempt saved. Adam Le Fondre (Wolverhampton Wanderers) right footed shot from the right side of the box is saved in the bottom right corner. Assisted by Björn Sigurdarson. Attempt blocked. 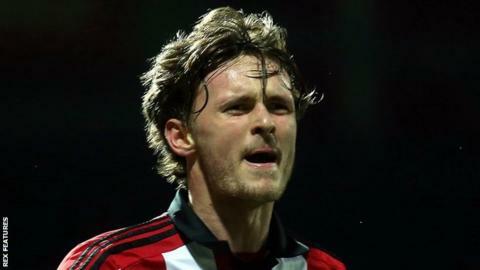 Josh McEachran (Brentford) left footed shot from a difficult angle and long range on the right is blocked. Assisted by Alan Judge. Corner, Brentford. Conceded by Ethan Ebanks-Landell. John Swift (Brentford) wins a free kick in the defensive half. Nico Yennaris (Brentford) wins a free kick in the defensive half. Goal! Brentford 3, Wolverhampton Wanderers 0. John Swift (Brentford) left footed shot from very close range to the centre of the goal. Assisted by Sergi Canos with a cross. Adam Le Fondre (Wolverhampton Wanderers) wins a free kick in the attacking half. Substitution, Wolverhampton Wanderers. Adam Le Fondre replaces Rajiv van La Parra. Substitution, Wolverhampton Wanderers. George Saville replaces Nathan Byrne. Attempt missed. Sergi Canos (Brentford) right footed shot from outside the box misses to the right. Nathan Byrne (Wolverhampton Wanderers) wins a free kick in the defensive half.